Rock duo THE OPTICAL ILLUSION have made their presence known here on NEW LEASE MUSIC. Their latest single, See You In The Stars, is currently the Song of the Month – and has subsequently stolen the Song of Week hotspot for five consecutive weeks! Frontman Keith Cousin takes the interview seat this month, revealing the band’s near-future plans and the reason behind their latest effort. OI: It’s my pleasure. I think you’re doing great work, and you’ve always been very kind and supportive to The Optical Illusion. We’re big fans. NLM: Thank you! Your stage name – THE OPTICAL ILLUSION – is really cool! What’s the reason for choosing the name? OI: Thanks for the compliment! The Optical Illusion came to me in a dream. I always wanted to be a rock n roller, and I woke up one morning and muttered to myself “Optical Illusion, Optical Illusion”. For some reason, it has stuck with me to this day. I placed a “The” at the beginning because so many great bands had it: The Beatles, The Doors, The Who, The Kinks…etc. 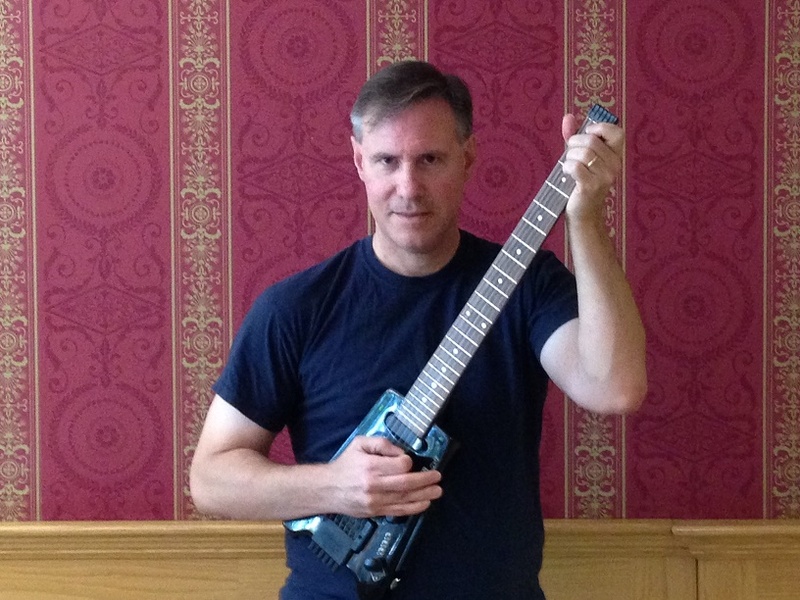 So, you could consider me a rock and roll traditionalist. NLM: You’ve released your single See You in the Stars in June. Describe the story behind your latest effort? OI: David Bowie was a legend. He touched so many lives and, in my opinion, was a musical genius. I’ve been a lifelong fan of his work. When he died, I was in shock for several weeks. I felt I had to do something about it. Since I don’t like to write about a subject without doing some serious research, I committed about a month to watching various documentaries, and interviews (the Heathen interviews in particular) about the man. When I was finally ready, I penned “See You In The Stars”. It was a serious labor of love. I put in over 15 lyrical references about Mr. Bowie. I even sang it the way I felt he would (without the British accent, of course). I wanted OI fans to feel as if David was actually telling the world about his life through me. I hope I’ve done him justice. I’d like to believe he would enjoy the tribute. NLM: What’s the public’s reception on the single since its release? OI: The reception has been awesome. I’ve gotten some really positive feedback and I’m very humbled and appreciative for anyone who has listened. These days, there’s so many ways to spend your time, and so many distractions on the Internet. Anytime someone selects “See You In The Stars” to listen to, over a cat video, or the latest Beyonce/Taylor Swift/Cold Play stuff that is most prevalent in the mainstream, I am honored. 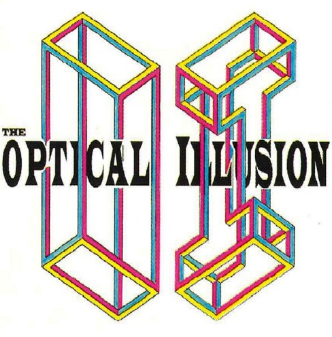 OI: The Optical Illusion is a power/pop/rock band. We also have some elements of progressive rock. Wayne and I make a great song writing team. I’m usually more of the structured, straight up rocker (influenced by The Beatles, The Cars, The Kinks, Rick Springfield, Joe Jackson), and Wayne is the more progressive force (influenced by RUSH, Spock’s Beard, Porcupine Tree). I never try to have the same type of sound, which can be a blessing and a curse. You can’t listen to one of our songs and immediately know who is singing, because I try to change things up so often. OI: Dave Grohl is the man! If I could collaborate with any rocker, it would be him. He has a huge respect for the greatness of rock past, and the vision to make new explosive rock in the future. Plus, he seems like a really nice guy; someone I could bounce ideas off of; and he plays every instrument. He’s just a really great, all-around rocker!! NLM: If you were granted three wishes to change the music industry, what would they be? 1. I wish radio stations would have a wider variety of music. Regular radio (air waves, not satellite), has such a narrow rock format. In New York, there’s only one or two stations that play rock at all, and I can only stomach The Rolling Stones so much…I need to hear some new stuff. 2. I’m hoping for a rock resurgence. I think overall, unfortunately, rock music is a dying breed. I think it needs to make a comeback in a big way. 3. Streaming services need to pay artists more than .0001 cents per stream. At this rate, I can retire in the year 2500. Ha!!! NLM: What are your plans for the rest of 2016? Do you have any upcoming gigs/other projects? OI: The Optical Illusion is going to do a little more studio work (a couple more singles to be released in the near future). After that, we may have plans to do some stripped down shows. If they go over well, a larger scale project could be in the works. If that happens, you’ll be the first to know. I try to answer any fan mail as quickly as possible and I invite anyone to contact us. 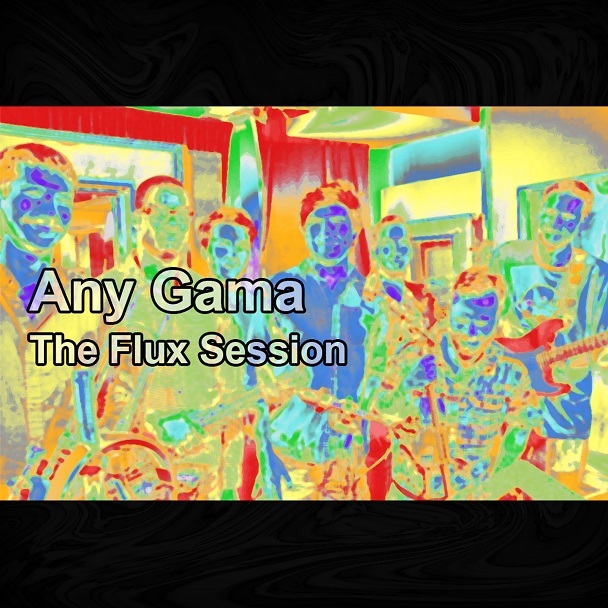 You can discuss our music, any music, or anything you like. OI: A sports announcer! I’m a huge sports fan (baseball, basketball, football). Paying homage to the late great David Bowie, alternative rock duo OPTICAL ILLUSION have just released a brand new track See You In The Stars, available now via iTunes. 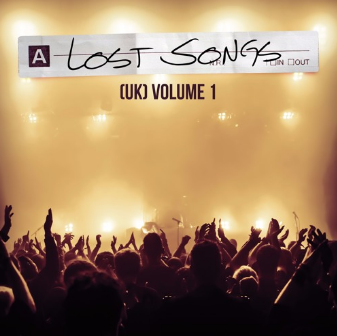 The Lost Songs campaign aims to seek out the next John Lennons, Adeles, Amy Winehouses, David Bowies and Freddie Mercurys and formed a 16-track album, released on Friday through M:89 Records. All songs were recorded at Metropolis Studios where an average of 50% of the UK’s Top 40 Chart is recorded, mixed or mastered. The record label definitely sourced out Britain’s most hidden gems who crafted something in between easy listening and adult contemporary pop, some having the potential of becoming this summer’s favourites. Here’s a tip for you: the further you go along the album, the sweeter it gets…so don’t lose faith; have a listen here. Must Listens: Falling Down by Dawson; Done by Jasmine Paterson; Regress by Lindsay & Isaac; You’ve Got It by Sweet Revenge; You’re My Man by Ben Campani; I’m No Angel by J Eoin. THE PHANTOM SOUND are ready to drop their latest effort, Release Me which is the 2nd single from their self-titled debut album out in October. The indie rock/pop band is heavily influenced by frontman Marisa’s love for the late 70s and early 80s punk and new wave movements, gaining inspiration from artists such as David Bowie, Roxy Music, Blondie, The Ramones, and Duran Duran. She’s been fortunate to work with several excellent and accomplished artists on this album. Ken Stringfellow of the Posies, Big Star, and R.E.M. is producing the album as well as playing on it. Clem Burke, drummer of Blondie, plays on several of the tracks and Pierre DeReeder, bass player from Rilo Kiley also contributes, among other talented musicians. Her single, Get to Me, was the top voted song on Charlie Ashcroft’s Audition Show, and has had various radio plays around the U.S. and U.K. She wrote and recorded this album in Berlin, Amsterdam, London, and Paris. Originally from Los Angeles, Marisa now lives in London. Release Me will be out in September…but for now, check it the striking video.